Give yourself the gift of new countertops this year. Whether your remodeling and updating dreams are limited to one room or your entire home, now is the perfect time to discuss ideas with the talented team at InsideOut Renovations & Home Repair in Lincoln, NE. 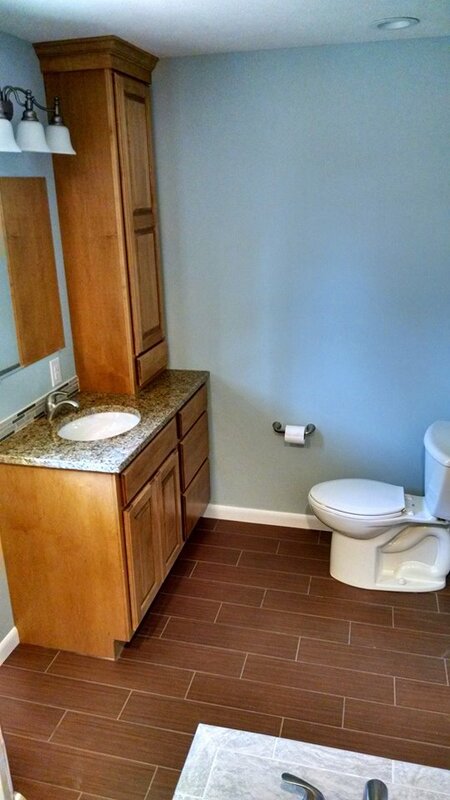 The remodeling contractors have helped Lincoln and surrounding area residents transform their homes since 2005. They also offer the experience and the state-of-the-art technology to bring your renovation project to fantastic life, whatever the scope. Kitchen Countertops: Replace current countertops with beautiful, durable granite options. Every granite countertop is unique due to the nature of the stone, allowing you to craft a kitchen remodeling project that suits your exact tastes. Granite is also very easy to maintain and is frequently a favorite kitchen countertop option. If granite doesn’t match your aesthetic, consider marble countertops, as marble ages well, looks stunning, cleans easily, and remains cool to the touch. Bathroom Countertops: Replace old, stained laminate countertops with gorgeous new stone countertops, such as granite, marble, or travertine. A white marble countertop looks amazing, especially when paired with other white tile and stone accents. Basement Countertops: Create the craft room or workbench you’ve always wanted by installing a countertop in your basement. Go with granite, slate, quartz, tile, or soapstone and enjoy turning your basement into a viable space for creativity and ingenuity. Discuss these and other countertop ideas with the Lincoln remodeling contractors and revitalize your home’s interior just in time for the New Year. Talk countertops as well as other remodeling and updating possibilities, including custom cabinetry and wood flooring among many, many other service options. For more on kitchen remodeling, bathroom remodeling, and other services available through InsideOut Renovations & Home Repair, please call (402) 474-0028 or visit the website today.